Sapphire Ring Co is fast becoming the biggest custom Ceylon sapphire ring company in the US, we are based in Tampa bay Florida with a second office which opened in Kona, Hawaii 2015 which are supported by our office's in Colombo, Sri Lanka where we have one of the finest full time gem brokers working with us on a daily basis, sourcing the finest Ceylon natural sapphires in a rainbow of colors. Our success is solely due to our customers continued commitment and being able to offer the finest of natural certified sapphires for sale at wholesale, all set into our custom made sapphire & diamond ring settings. At the Sapphire Ring Co we strive only for excellence in both customer service and impartiality, our appraisal are written independently by certified GIA appraisers whilst using the worlds top gem laboratories for colored gem stone identification (GIA) so each customer has complete peace of mind that they have a 100% genuine natural sapphire. We buy the finest 100% natural earth mined sapphire and or rubies and having every ring designed and custom made for each stone unique cut and size. We continually have new rings as well as loose sapphires arriving almost every week and because we buy directly from our own full time broker in Sri Lanka today we are able to offer the finest natural certified sapphires at substantially reduced prices, please contact us at any time with any questions we are always very happy to help with our office open 7 days a week. Appraisals via GIA G.G Appraisals if applicable. We offer certified appraisal services from our G.I.A. graduate. Graydon Gesner has his Graduate Gemology Degree, Accredited Jewelry Professional Degree, and the G.I.A. Pearl Grading Lab Degree. These studies were accomplished at the Gemological Institute of America (G.I.A. ), located at the Carlsbad, California campus which is the world's foremost authority on diamonds, colored stones, and pearls. He was an on campus student and excelled in all phases of his studies. Out of 11 G.I.A. campus locations worldwide, Carlsbad, California is the G.I.A. World Headquarters that brings students from all over the world. Dixie is always very happy to help you with any questions you have whether you are looking one of our custom natural sapphire and diamond ring or just have a questions about our natural sapphires. 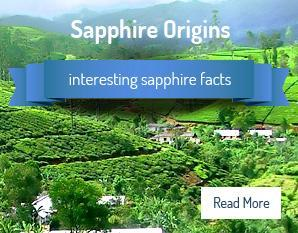 For questions about the origins or why today we buy solely sapphires from Sri Lanka please ask for David. He is responsible for the purchasing of all of our natural sapphires and work closely with Dixie on making sure the highest standard is maintained. What ever your questions are, please contact us. We are always very happy to hear from you and help in anyway we can from the smallest of questions to full information on our natural sapphire rings and why today we are the only company to offer conflict free sapphires supported with full GIA reports and fully independent appraisal by GIA gem gemologist. Store visit by appointment only - please contact us at anytime. Member of the Jewelers Board of Trade.